Formerly part of the Stagecoach Group, the MultiSports Group, founded by Grant Felix and Helen Girdler, are one of the most established childrens sports schools in the UK. 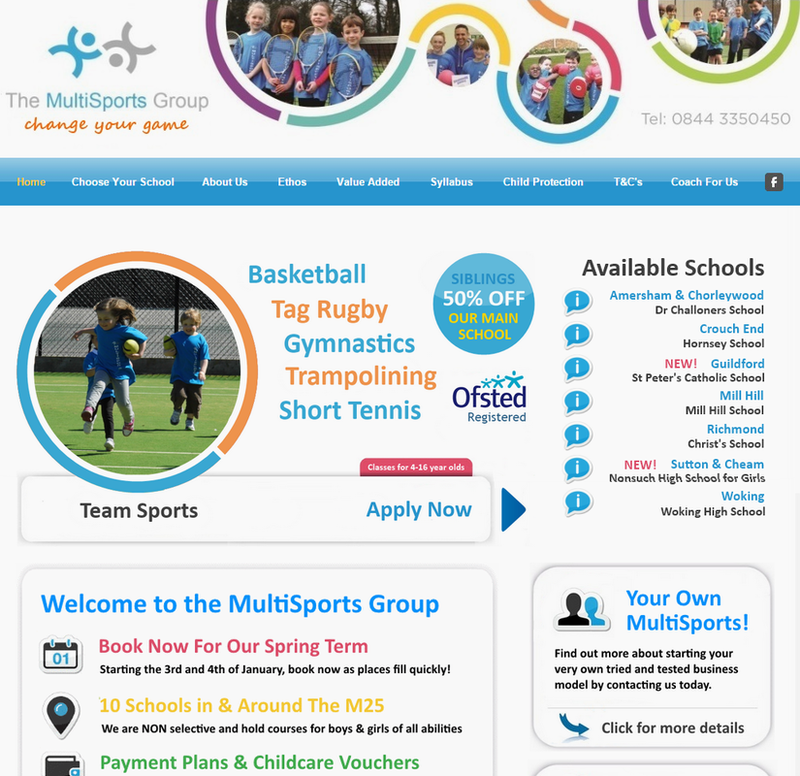 The MultiSports Group needed a complete re-brand and wanted an engaging web experience for both children and their parents. Venture built a colourful e-Commerce platform for parents to enrol their children in one of the most established sports schools for children.